Sharnford is 4 miles south-east of Hinckley and 13 miles south-west of Leicester. No distinction between the various denominations of Methodists in the Meeting House Return of 1829 was given in the case of Sharnford and the return gives a congregation of 150 ‘Methodists’. It is likely that these Methodists were Wesleyans. 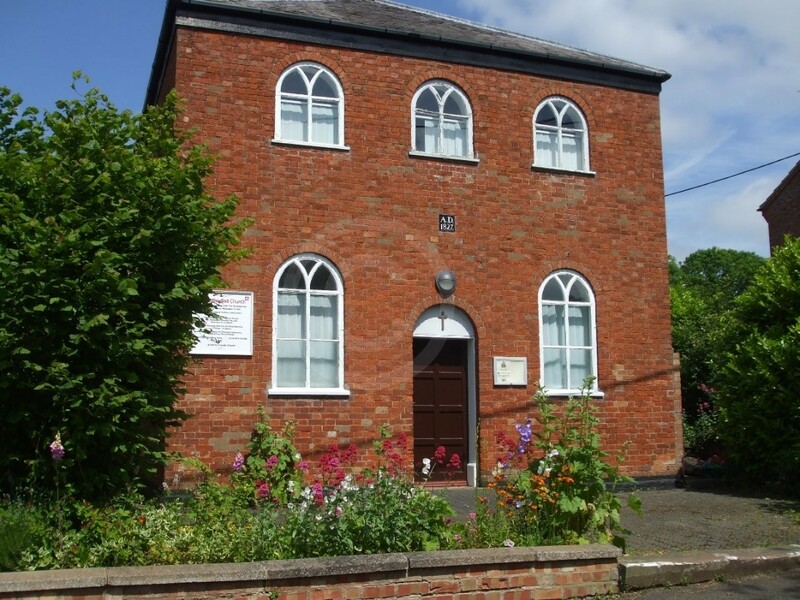 In 1851 the Wesleyan Minister reported that his congregation began meeting in a private house in the village in 1795, and that they then occupied a chapel from 1812 to 1827. At that point a new chapel was built which had free seating for 42 and other seating for 144 people. It had cost £600. 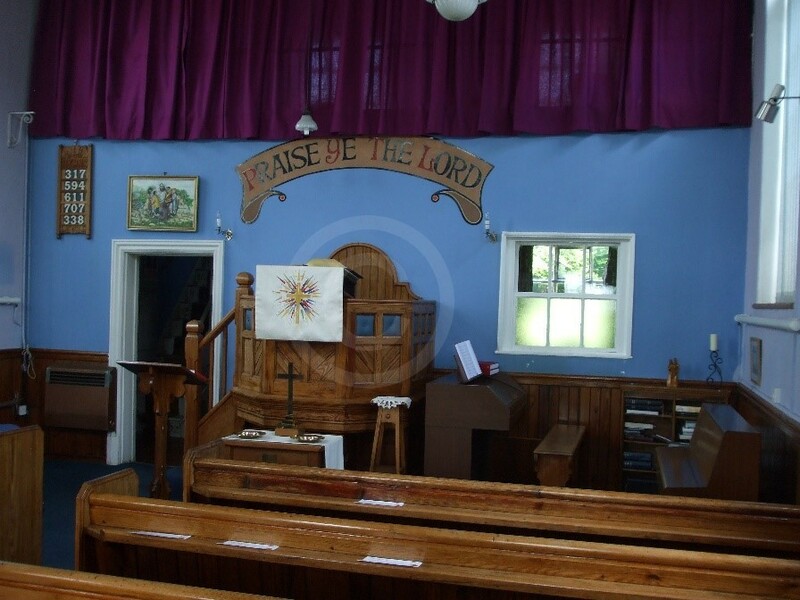 On Sunday 30 March 1851 there were two services, one in the morning and one in the evening which attracted congregations of 96 and 120 respectively. The Sunday school met in a room adjoining the chapel and had 82 scholars in the morning session and 40 in the evening. The averages for attendance at the services were 120 in the morning and 140 in the evening, and Sunday school averages were 140 and 40 respectively. Unusually for a Wesleyan chapel, the chapel had a burial ground. The earliest headstone is dated 1832. 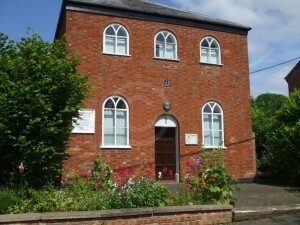 It was an attractive red brick building, and is still in use as a chapel in 2015, complete with 1827 date tablet above the central door. The interior has a small rear gallery and a larger front gallery behind the pulpit with a vestry beneath. A small kitchen and toilet block were added in the 1950s.